Potager, originally uploaded by Diana Sorella. The textures and foliage colors in this potager garden are incredible. 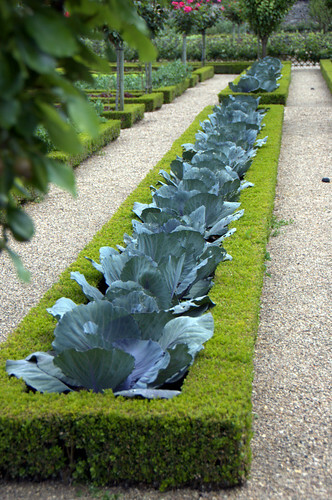 The potager garden has it’s roots in 16th Century France as what is now more commonly known as a Kitchen Garden. However it’s design was just as important as it’s function. Aristocracy had gardeners to tend their sprawling, elaborate potagers. The lower class focused more on the necessity of the potager and it was usually much less elaborate.